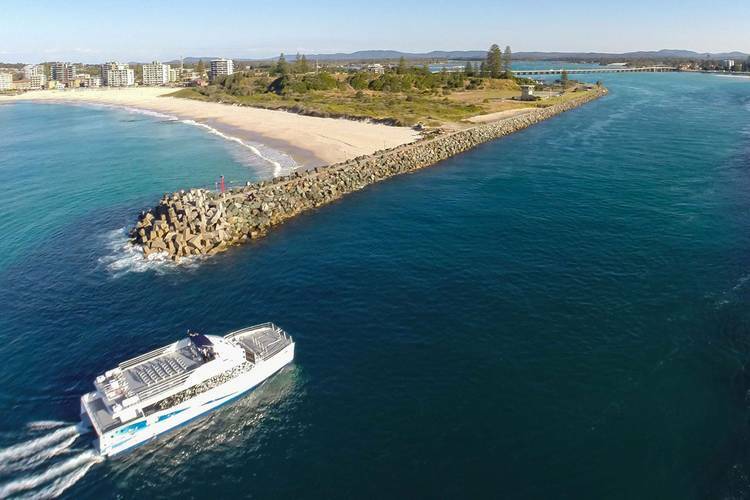 Incat Crowther today announced the launch of Amaroo, a 24-meter Catamaran Whale Watching vessel for Amaroo Cruises of Forster, New South Wales, who recently celebrated 35 years in operation. 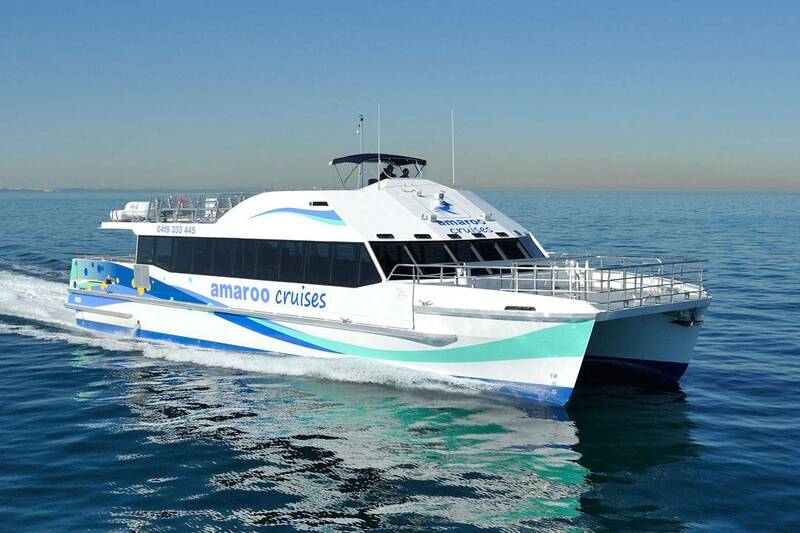 Built by Aluminium Marine in Queensland, Amaroo is the third Incat Crowther-designed vessel for the operator. The companies’ relationship began in 1981 with the design of Amaroo II, and continued with the 1998-built Amaroo 2000. 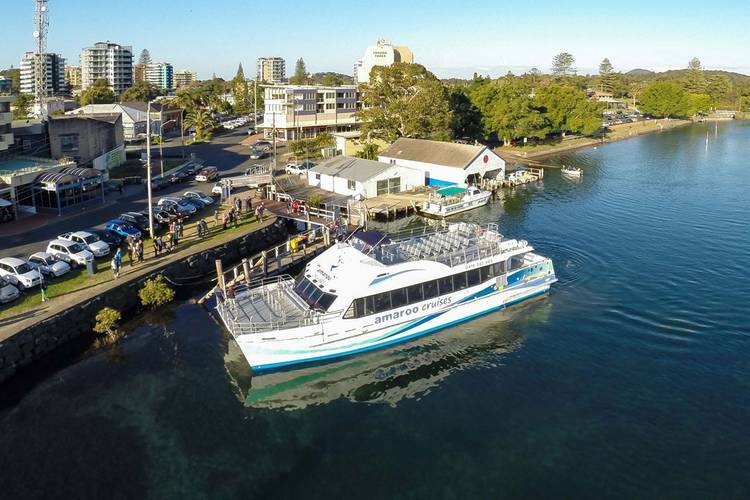 Amaroo Cruise’s daily dolphin and whale watching cruise route presents technical challenges, Incat Crowther said. Consisting of a loop around Wallis Lake before sailing under a low bridge and entering the ocean, it calls for the balancing a low draft hull for lake operation with strong oceangoing seakeeping, whilst keeping air draft to a minimum. Incat Crowther developed a vessel four meters longer than the previous vessel, yet drawing no more water. 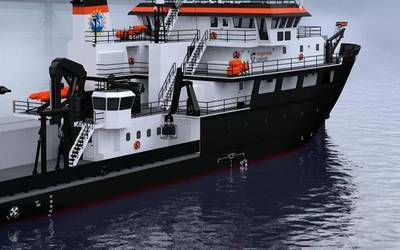 She features a fully-loaded navigational draft of 0.85m, a figure normally only achieved by waterjet-driven vessels. With targeted weight savings, wide hulls and carefully developed propeller tunnels, the shallow draft was achieved without compromising performance and economy. As with Amaroo 2000, the superstructure is isolated from the hull on resilient mounts, allowing a two-beam structure that further reduces the height of the vessel. Foredeck access has been improved with the installation of a door pocket forward allowing passengers to walk around the forward structural beam via a safe, level passageway. Incat Crowther said the isolated deck house and optimized propulsion and structure combine to deliver improved noise and vibration characteristics. Extensive use of glass and an innovative low profile engine ventilation system gives the cabin natural light and visibility. Amaroo accommodates 101 passengers inside, with a kiosk located aft in the cabin. There are additional spaces for up to five wheelchairs. The foredeck is configured for standing passengers, with a single bench seat. 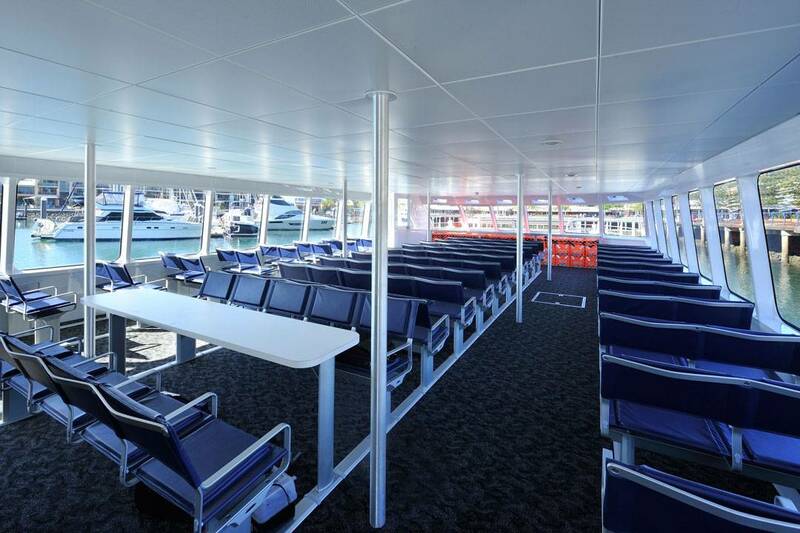 The upper deck features seats for 70 passengers, as well as the helm station. An improvement over previous vessel, this affords the captain superior visibility, and frees up the front of the main deck for whale watching passengers. A foldable bimini cover can be collapsed for transit under the bridge at high tide. Amaroo is a “next generation” vessel, meeting the latest NSCV regulations for access, including 2- x 1.6-meter lavatory, wide aisles and dedicated priority seats and wheelchair spaces. The vessel is powered by a pair of Yanmar 6HYM-WET main engines. In sea trials, she achieved a top speed in excess of 27 knots, and has a service speed of 25 knots.